The cable connects via either a top or bottom mount, so it should work on most frames. Cane Creek has announced three new products. We’re going to start with the small stuff and work our way into the bigger news just to keep anticipation high. Up first is the new OPT Climb Switch remote. 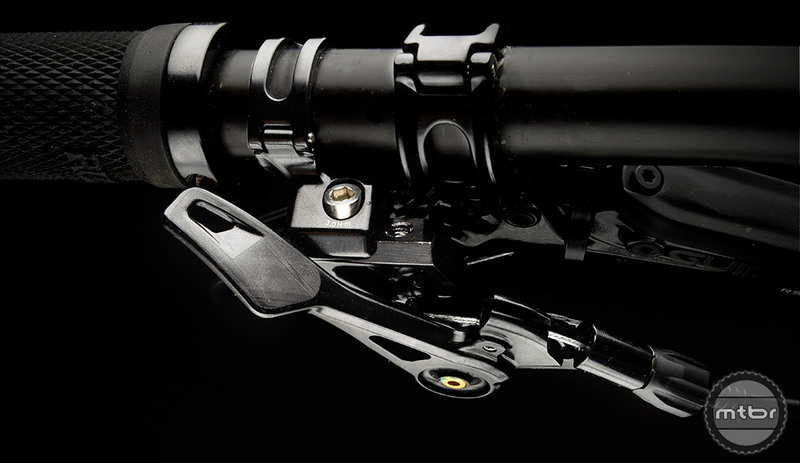 A few years ago, Cane Creek introduced a Climb Switch across their various shock platforms. 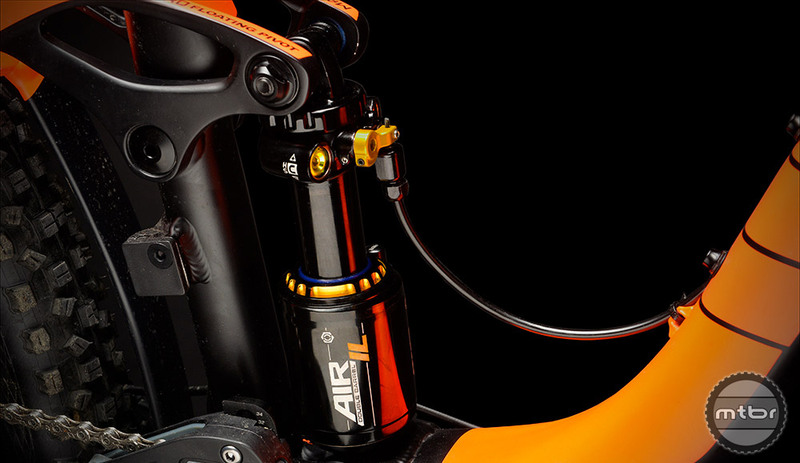 Unlike the climb switch on most shocks, this lever adjusts both the low-speed compression and rebound. They’ve specifically tuned it so that low-frequency suspension movement is damped, but not so much that affects climbing traction. The little switch works phenomenally well but was lacking a bar mounted option. For most people interested in Cane Creek shocks, this wasn’t a problem. Anyone who’s ordered one is probably more interested in downhill performance than uphill KOMs. That said, the new bar option is a welcome addition for XC racer types. The OPT remote is compatible with the DB Air [IL], DB Coil [IL], and DB Inline. There are two possible shock mounting options (bottom or top) to help increase frame compatibility. The best part is you can you can set the lever anywhere from fully open to fully damped — or anywhere in between. The Cane Creek DROPT is a universal remote for cable actuated dropper posts. It features both a cable head insert or cable clamp. 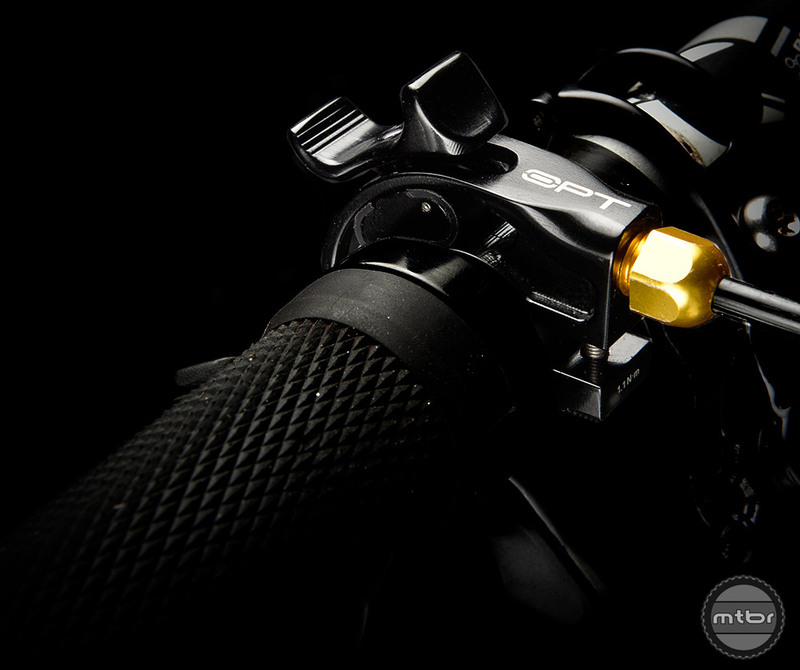 Next is the new DROPT seatpost remote. This mechanical lever is compatible with any cable actuated post. It has two types of cable insertion methods (cable clamp and cable head insert) and the lever throw is adjustable. 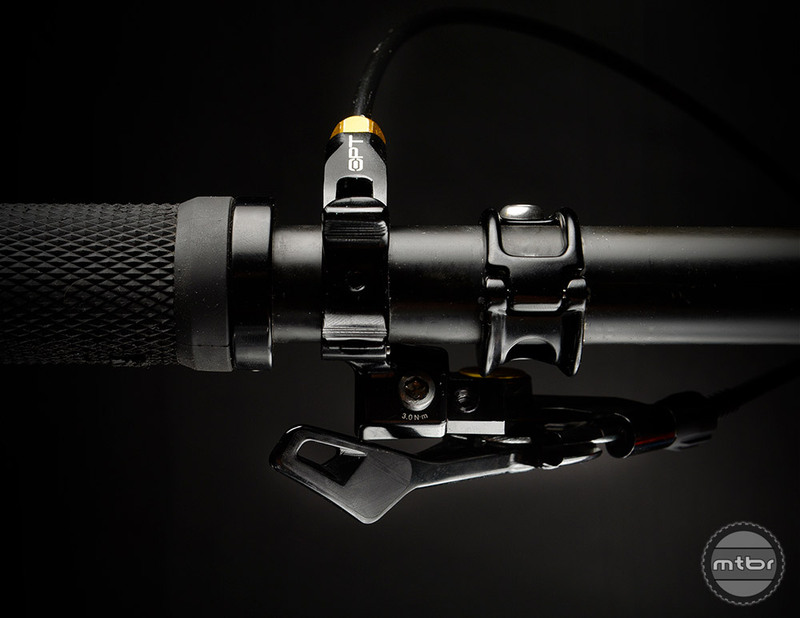 The new OPT handlebar remote from Cane Creek allows you to remotely activate the Climb Switch. You can mount it up on its own or couple it with the OPT to help reduce clutter. Both the OPT and DROPT will be available starting February 1. The new DB Air [IL] does not replace the original DB Inline. It slots a tier higher, which allowed Cane Creek to drop the price on the regular DB Inline. And now for the big news, the DB Air [IL]. The original DB Inline promised to deliver the tuning and performance of a reservoir-style shock in a much slimmer package. When they worked, performance was impressive, but they had some reliability issues. 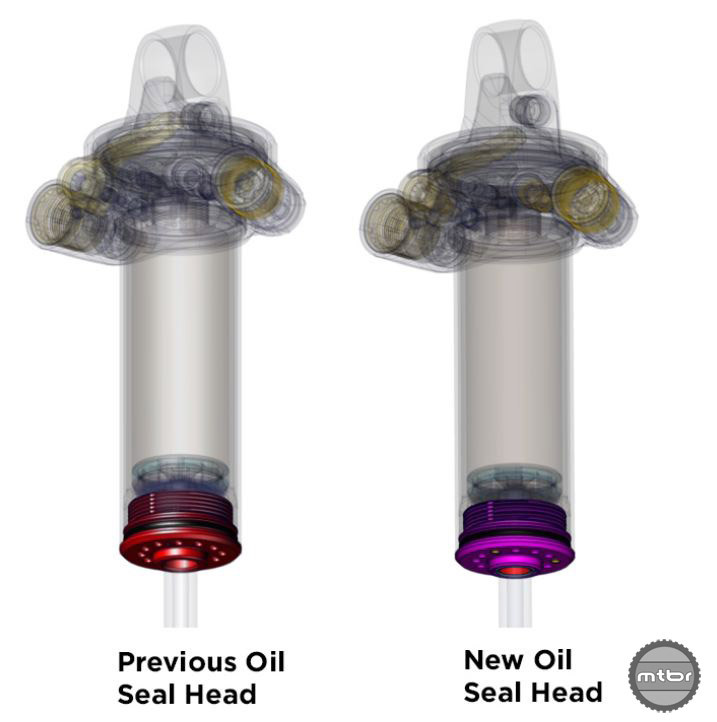 Cane Creek revised the oil seal head to improve reliability. 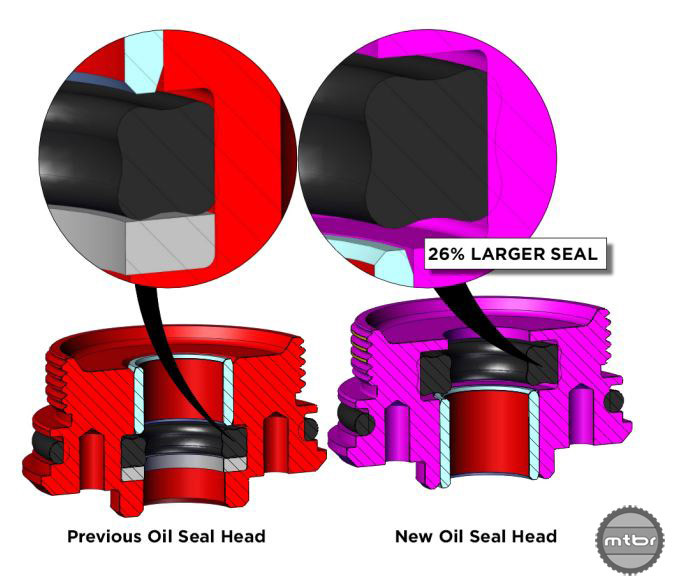 To resolve those problems, Cane Creek has made some key revisions to the oil seal head, shaft bearing, and air piston. Basically, air shocks heat up as you ride. The only thing separating the damping circuits from the air spring during this process is an oil seal head. Closer look at the revised oil seal and head on the DB Air [IL] and DB Inline. 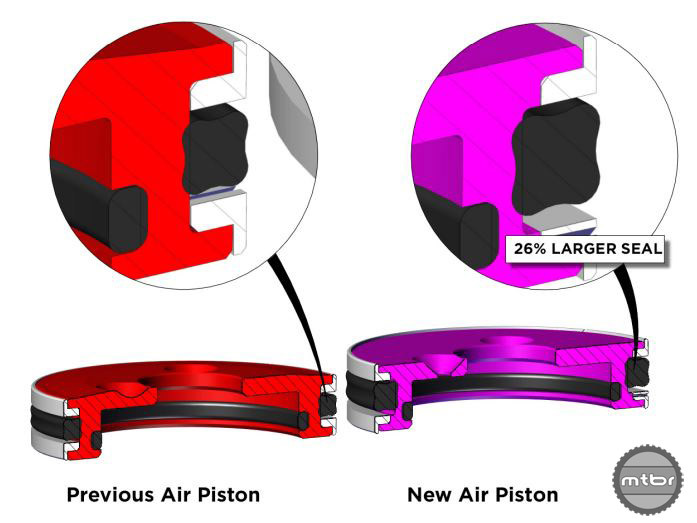 In order to reduce failures from heat and compression, the new design uses a special quad ring that is 26% larger. It’s also made from a high-performance synthetic rubber that is said to be more durable, heat resistance, and smoother. 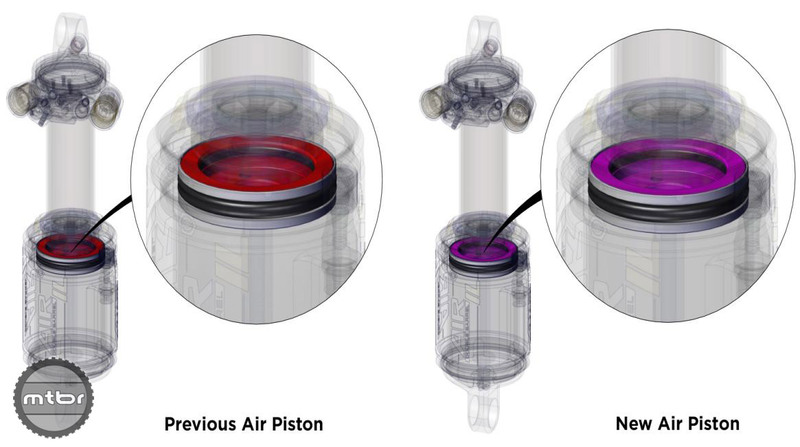 In addition to the oil seal head, Cane Creek also revamped the air piston. Cane Creek also upgraded the air piston in a similar fashion. By increasing the size and using a material that was tougher and more heat-resistant, they hope to eliminate leaking. This seal also has lubricants embedded that are designed to reduce friction. 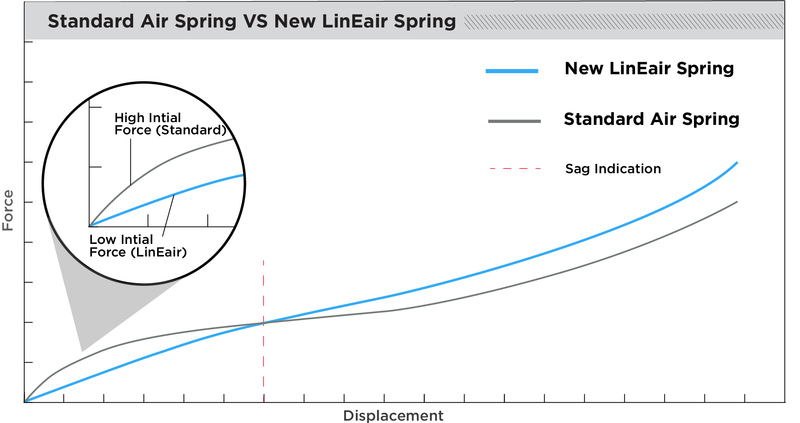 The cleverly named LinEair air spring promises a more supple top stroke and improved ramp up. Lastly, Cane Creek is introducing the LinEair air spring. This new air spring requires lower force to initiate and provides a more consistent feel during the first portion of travel. It also gives you more support in the mid and becomes more progressive towards the end of the stroke. All of these improvements, sans the new air spring, will also make their way into the regular DB Inline. 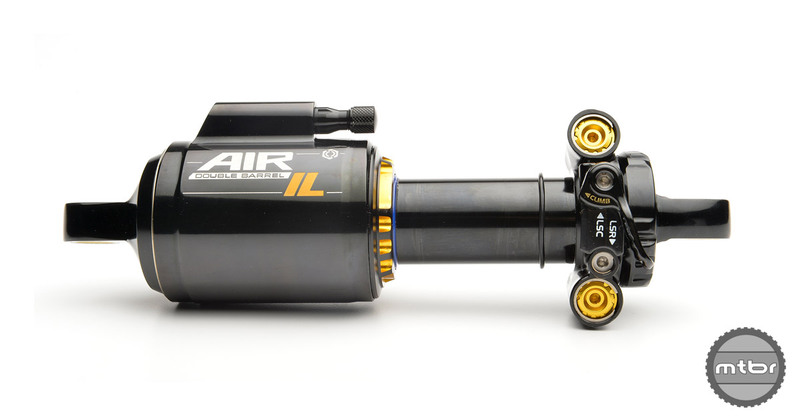 The DB Air [IL] is now their premium inline air shock and retails for $475. The DB Inline drops in price to an extremely reasonable $350. For more info, visit www.canecreek.com. Closer look at the revised oil seal and head on the DBair [IL] and DBinline. The new DBair [IL] does not replace the original DBinline. It slots a tier higher, which allowed Cane Creek to drop the price on the regular DBinline. The Cane Creek DROPT is a universal remote for cable actuated dropper posts. It features both a cable head insert or a cable clamp. Any Chance the New Seal Head & O-Ring can be upgraded on my previous gen. inline Air? Nope, but if your previous gen inline is still under warranty and is acting up/broken, you can get a new DB Air [IL] for $65, $125 if it’s beyond the one year warranty. Huh? This shock IS a DB Inline with improvements. There is no reason for the DB Inline to exist after the DB Air [IL] is generally available. To me it seems more likely that the old, problem-prone DB Inline will be blown out and then discontinued. And people that have issues will be asked to pay to upgrade to the DB Air [IL]. Which is, frankly, pretty awesome of them. My girlfriend is sending hers in for an early rebuild to (hopefully) avoid it crapping out mid-season this year. It had to go in twice last summer.